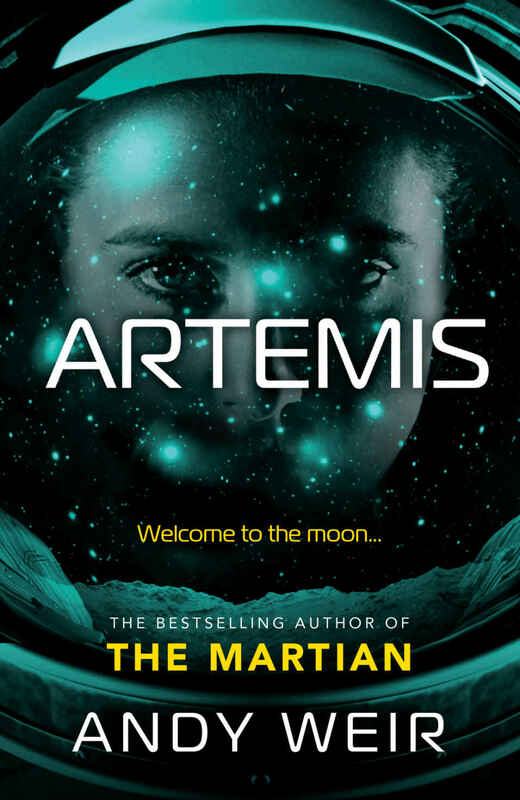 It's impossible to read Artemis and not be reminded of that one-time SF great, Robert A. Heinlein. Not only was what was arguably Heinlein's best book also set on a Moon colony (more on that later), he had a penchant for feisty young female lead characters who were very intelligent but do not make conventional use of their abilities (think anything from Podkayne of Mars to Friday) - a perfect match for the central character of Andy Weir's new novel, Jasmine (Jazz) Bashara. Artemis is set on a permanent Moon colony of around 2,000 inhabitants. Its bubble habitats are set up a short train ride from the Apollo 11 landing site, which reflects the colony's main source of income - tourism. Jazz makes her living apparently as a porter, moving goods around the colony, but in reality as a smuggler. This brings her into contact with others who will involve her in something far bigger, with drastic consequences. Told in the first person by Jazz, this is a fairly conventional space adventure, though Weir does make use of his trademark ability to bring in excellent thinking through of the real practicalities of doing things away from the Earth - such as welding in airless environment or the workings of a Moon-based ore smelter. Weir also thinks through the implications of keeping the economy of a small Moon colony viable, which brings us back to the comparison with Heinlein's The Moon is a Harsh Mistress. There too, the lunar colony's independence is under threat, though reflecting Heinlein's libertarian inclinations, his threat is the Earth-based government, where Weir's is organised crime - though there is a similar distrust of traditional government here too. Although there are strong similarities with Heinlein's work (including a certain naivety of characterisation) - and it's hard to imagine that Weir has never read Heinlein - this is in no sense a pastiche. Perhaps the only slight problem is that it probably doesn't come out on top in a comparison with The Moon is a Harsh Mistress - but that was a hard act to follow. Artemis stands on its own as an enjoyable thriller, though, especially as tension mounts towards the end. It's an easy read, and Weir's introduction of plenty of thought-through science and engineering makes it a pleasure for those who like their science fiction as close as possible to physical reality. Writing a follow up to the remarkable success of The Martian was always going to be difficult. Artemis isn't as good - but stands up well in its own right. The book is a pleasure to read - but even more fun if you know enough SF history to recognise its heritage.